1 Bedroom Flat For Sale in Luton for Guide Price £75,000. 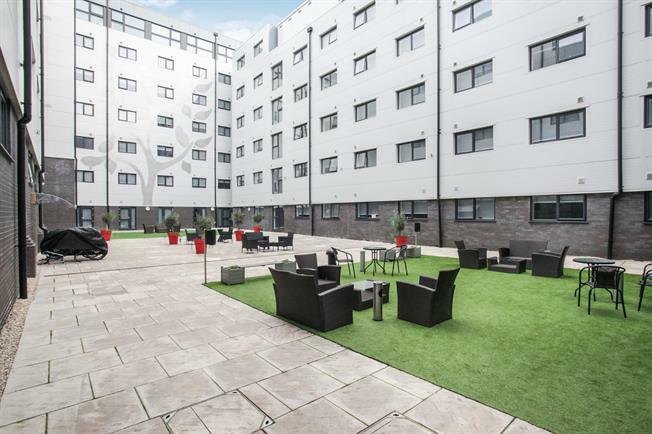 This excellent investment opportunity for cash buyers only is located within the recently built Spring Place Student Halls in the centre of Luton Town. This studio provides the current owner with a guaranteed rental for the next four years and offers an 8% yield. Double glazed uPVC window. Radiator, laminate flooring. Radiator, laminate flooring. Roll top work surface, wall and base units, stainless steel sink, microwave oven. Heated towel rail, tiled flooring. Low level WC, single enclosure shower, pedestal sink.